We fully embrace our roles as stewards of this profession. We will enter every dwelling with good intentions, fair practices and honesty, and we promise to use our talents to design and create interiors that will improve the lifestyles of our clients. We take this oath seriously as we practice the art and science of Interior Design. When clients put their trust in us, we promise to enrich their lives, earn their respect, and bestow unto them a happier, healthier environment. Debbie Sheaf & Associates now known as “The Doctors of Design” takes a fresh look at the things you already have. By moving furniture, artwork and accessories from around your home we are able create a more complete look for you in any given area of your home. We will leave you with a "design prescription" for items or actions you will need to take in order to complete the design or complete the work for you on an hourly basis. DSA was designed for the client who wants to take the design of their home one step at a time. Originally we designed our service for clients who wanted to do the shopping on their own. We now offer full design services on an hourly basis. Do it yourself with our guidance or let us take the work off your hands. DSA offers a fixed-priced package to meet your design needs, as well as additional design consultation by the hour. 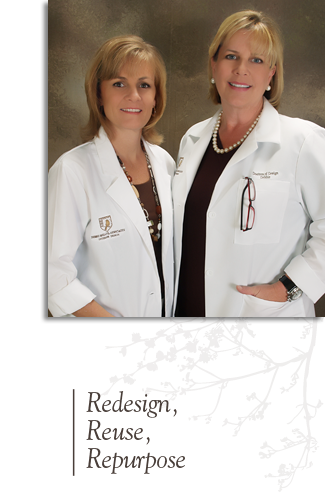 Read more about the Doctors of Design in an article in the Orlando Sentinel by clicking here.